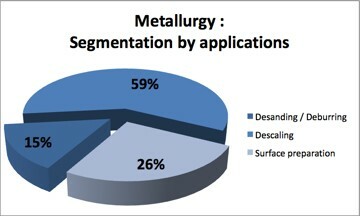 The metallurgy market represents 17% of the worldwide abrasives market. Steel abrasives play a key role in the production processes of numerous activities. The need to replace/ease/speed up chemical operations like pickling without affecting the roughness level. With the creation of dedicated products, equipment and services, W Abrasives offers solutions for each market segment of the metallurgy market. This Premium product has an impact on the cost of the blasting operation, with a reduction of about 15%. Stainium is more than a special product, it is a global Premium solution that includes technical expertise. By using Stainium, one of the main Chinese steel producers put its trust in W Abrasives for its blasting operation. Vyksa Steel Works (Russia) "The products of the W Abrasives brand differ from other in terms of high and constant quality."